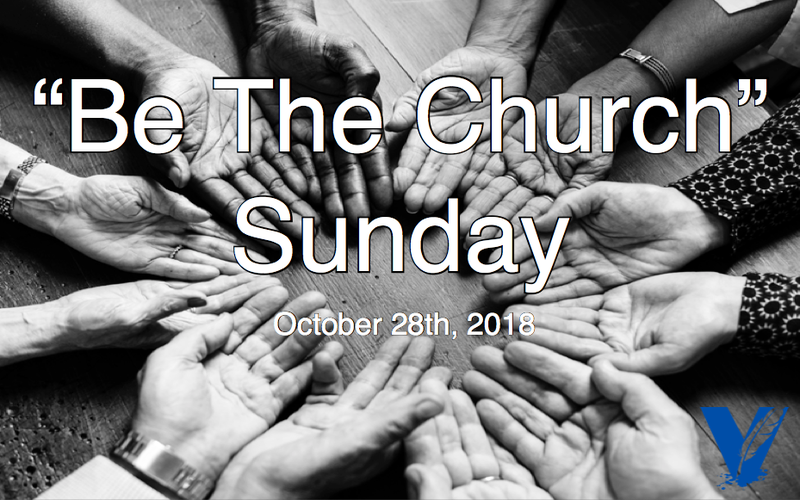 On Sunday, October 28th at 11 AM we will be having “Be The Church” Sunday. The event is meant to remind us that being a part of the church is about doing something for the community. We will have an abbreviated worship set and message, then we will assemble resource bags and boxes for several humanitarian organizations. Older Children (Storyland and Ink) will participate . VC will provide some of the items for our boxes and bags. But you can make it even bigger by bringing your own inclusions! Take a list and go shopping for some items with the family. You can also take a bin to your workplace or any organization you are involved with and get them involved in collecting and serving! Fill it up each week and empty it in our baskets at VC then take it back and fill it again! Demonstrate service to our kids! 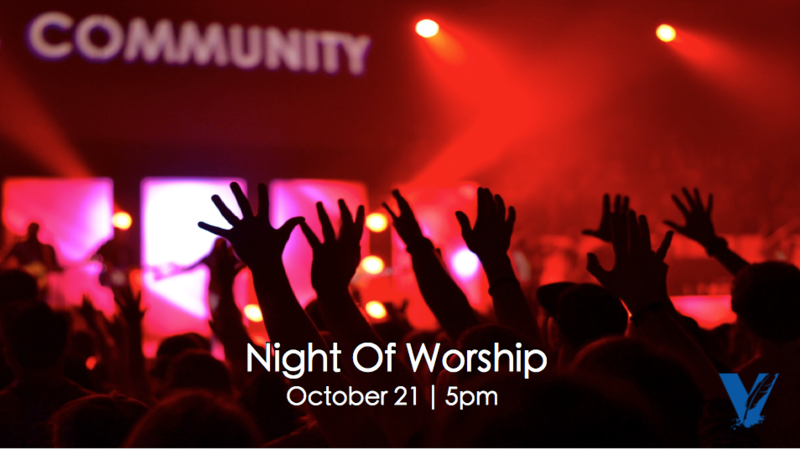 Worship is central at Vinings Church and we will be holding a worship night October 21 at 5pm. 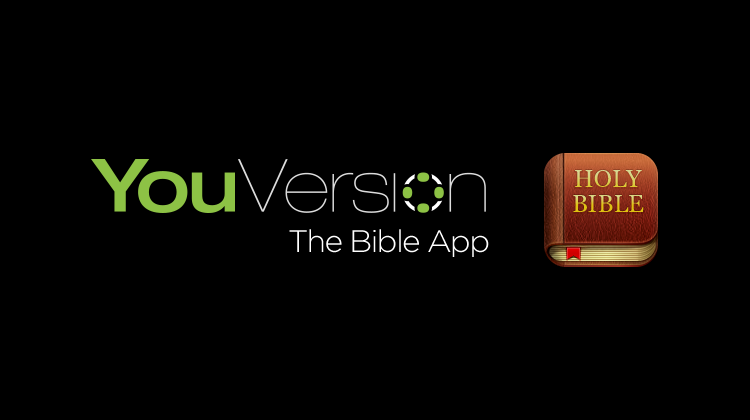 Get refreshed and connect with the VC family and Jesus. Coffee and Childcare will be provided. The median construction in front of our building began this week. For ease, and to avoid a long U-turn for our Smyrna guests, please consult this map with instructions for turning into our property. 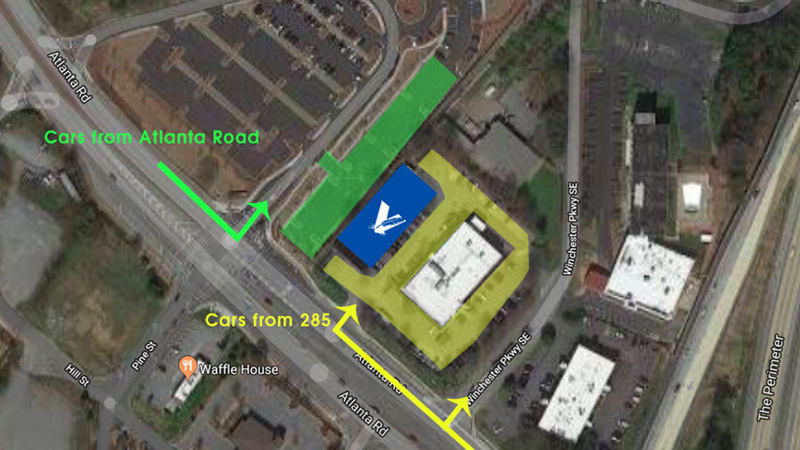 If you usually come to VC from I-285 (Shaded Yellow), nothing changes about your entry and you can make the usual right hand turn into our property in one of the two yellow entrances. If you usually come to VC from Atlanta Rd (Shaded Green), you need to make a left hand turn into the hospital entrance. This Green entrance is BEFORE you pass the VC building. Park in the corner of the lot nearest the front of the VC building (Blue). Wellstar has allowed a walkway between two trees with cobblestone pavers to walk onto our property. In doing so, you are avoiding a long U-turn back to our property that will extend to the Kroger inside the perimeter. 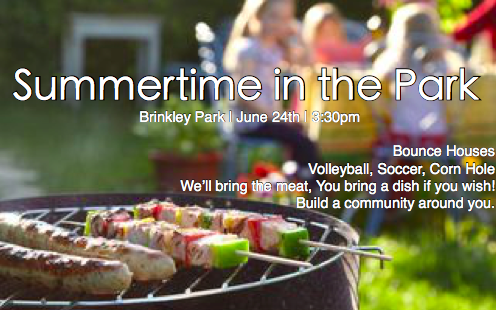 Join us at Brinkley Park on June 24th at 3:30 PM for some summertime fun. We’ll have bounce houses, volleyball, soccer, and corn hole. We’ll bring the barbecue. You can bring a dish if you wish! Let’s relax and enjoy the summer together!